Shop with flat over in Devon seaside town. Northumberland Place is in the heart of the town centre close to the Quays and with glimpses to the Den and the sea beyond. The unit is adjacent to a shoppers car park and the area also benefits from limited on street parking. There are a wide variety of other commercial users in the location interspersed with houses and other residential apartments. 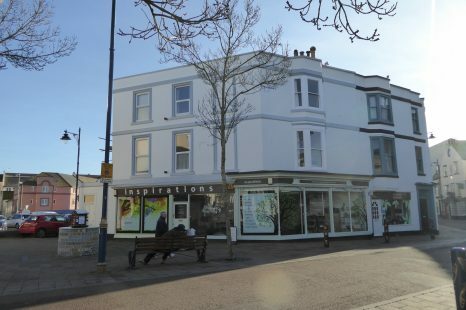 A three storey period building forming a retail unit on the ground floor with a separately accessed 3-bedroomed maisonette over. The shop is let to a graphic design agency and the flat over is currently occupied on assured short hold.